Sister Edith Appleton served as a nurse in France throughout the First World War. She witnessed the horrors of the Western Front – and kept diaries of her experiences. 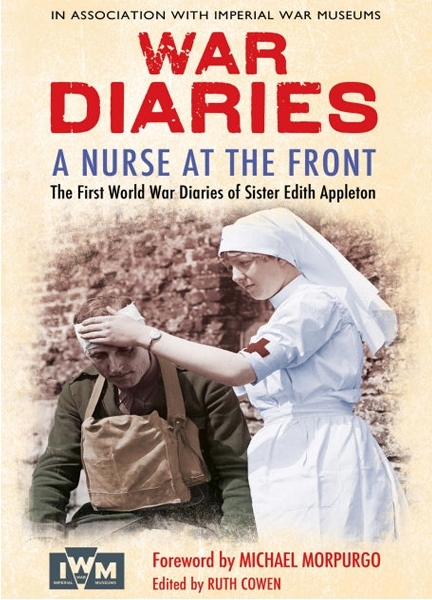 Now, you can read her firsthand account in War Diaries: A Nurse at the Front. Find out what happened to her as she carried out her duties nursing those who were wounded in battle. Edith was a member of Queen Alexandra’s Imperial Military Nursing Service and had trained as a nurse at St Bartholomew’s Hospital in London between 1900 and 1904. In her diaries, she details the effects of the first use of poison gas on the Western Front as well as what living and working there was like for her and her fellow nurses. Among the harsh realities of war, she also relates more light-hearted moments, and even comments on the beauty of the French landscape. Edith was awarded the Military OBE, the Royal Red Cross and the Belgian Queen Elisabeth Medal for her work during the First World War.